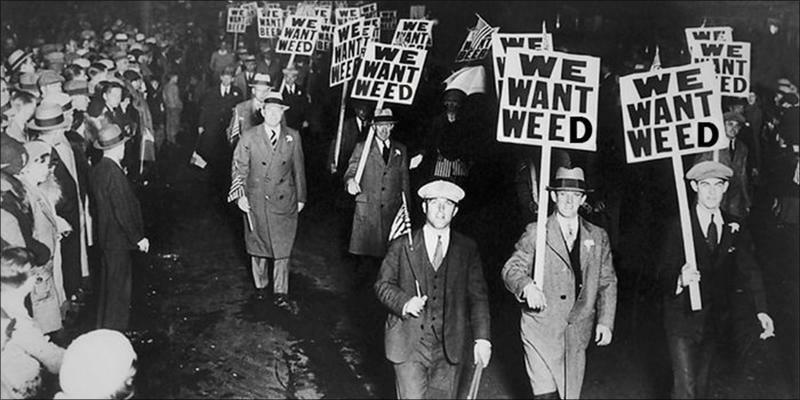 A potted history to set the tone - There is no fury like a vested interest masquerading as a moral principle... As the Industrial age developed ever faster, cannabis began to lose favour. Steamships replaced sail. Chemical and synthesised drugs replaced herbal remedies. The invention of the cotton gin and all cotton’s concomitant horrors of slavery and ecological disaster, replaced natural fibres and new chemical processes were developed for pulping wood into paper. The repercussions of each of these transformations have been tumultuous and the reverberations they set of will continue to be felt for generations. The challenge for processing cannabis was its labour intensity. In 1937, at the same time as the ‘decorticator’ was invented for separating the hemp fibres from the remainder of the plant, DuPont, one of the main rogues in the gallery, invented a new bleaching process for wood pulp paper. At the same time, they also patented the process of making man-made fibres from fossil fuels. These two factors rang the death knell for cannabis. To eliminate cannabis from the marketplace, DuPont conspired with media moguls and corrupt US politicians. 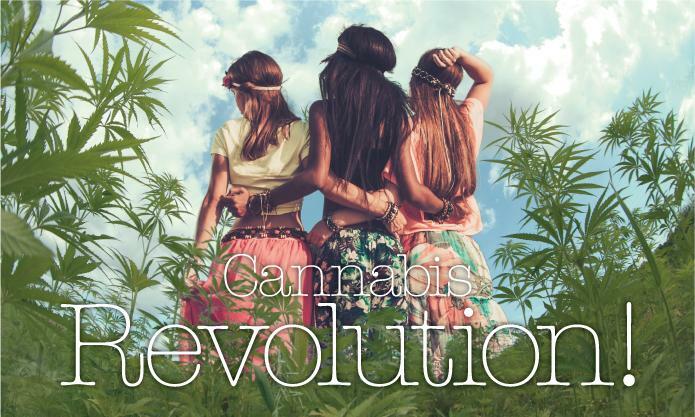 The method used was to demonise cannabis. 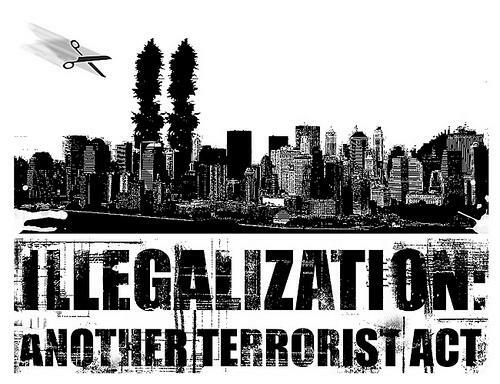 The first step was to replace the words hemp and cannabis with the word marijuana, a Mexican colloquialism, then, using Randolph Hearst’s massive media empire, set about claiming marijuana caused the greatest violence known to humanity. Furthermore, they tarred the great jazz players as degenerates, claiming their music sexualised and scandalised those that heard it because they were all ‘high’ on marijuana. 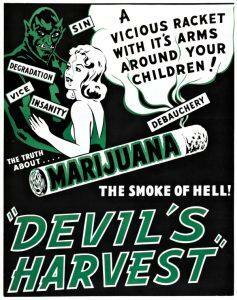 Some infamous films such as ‘Reefer Madness’ were made and shown on general release to a gullible public. The ‘Killer Weed from Mexico’ was on the hit list. “A Puff, a Party, a tragedy” was the film’s tagline. 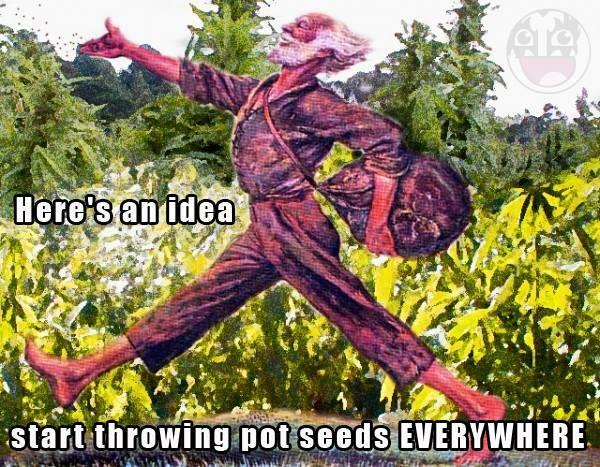 All the history of cannabis and man’s ancient and wonderful dance through the ages was rapidly expunged. The corruption was legion. The head of the Federal Bureau of narcotics, Harry Anslinger, was appointed the first commissioner of the U.S. Treasury Department's Federal Bureau of Narcotics by Andrew Mellon, Anslinger’s uncle and head of the Mellon bank, was also DuPont’s financier. Anslinger was virtually unopposed when the Marijuana Transfer Tax Bill was introduced in 1938, taxing the plant into oblivion. Trees, the lungs of the planet and repository for the most numerous and specialised flora and fauna on earth, continue to be felled in alarming and unsustainable quantities for paper and building materials. Concurrently, fuels are still being mined and burned with devastating environmental consequences. Developing countries are encouraged to grow hybridised and GMO crops such as cotton and soya which consume huge amounts of water and chemicals, in the case of cotton, and in the case of soy to feed greater numbers of farm animals, a hopeless and unhealthy way to provide protein, and the resultant environmental challenges this form of agriculture causes. It is estimated cotton uses 30% of the total input of chemicals and fertilisers in all agriculture. This effluent ends up in the oceans, cetaceans, in all other sea-life and in our bodies. The petro-chemical industry controls the global production of fibre. The petro-chemical industry controls the global production of food. Mass produced food is poisonous to us and poisonous to the planet. Since the agricultural revolution, land has been the engine of wealth and the measure, as it is still today behind all the bluster, of a country’s true wealth. This wealth has now however, be vested in the hands of individuals hiding behind multinational corporations, whose motivation is solely profit, to the detriment of all life on earth. 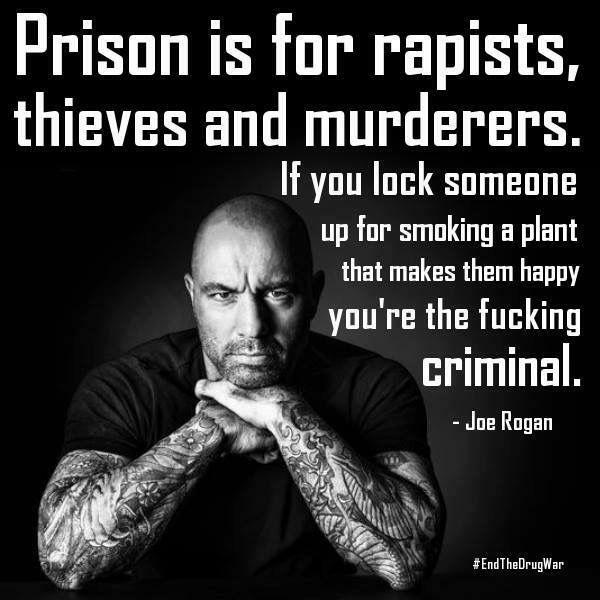 Why is a plant which grows naturally all over the world, and has been of such benefit to mankind, including smoking thereof for pain relief and seeing the world in another way, proscribed? On whose authority is such a birth right consigned to the courthouse and prison? Who has a continued interest in this state of affairs? If only for the benefit of the oceans, it is essential petrochemical based plastics are eradicated and replaced with cannabis resin plastics immediately. If governments, the UN and other global entities such as the WWF are serious in their endeavours to clean up the oceans.